Is cooking at home more expensive than eating out? To give you the Reader's Digest answer...no. Okay, I know what you're thinking: "Rachael, I don't eat green peppers, rice and beans. We're humans, not mice." Same here. 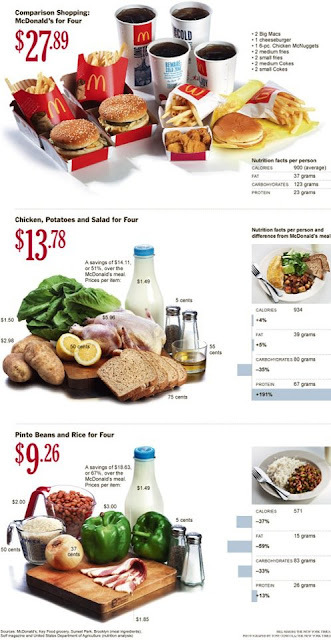 But there's still a considerable price difference between the fast food category and the middle, more "normal" food category. This is not to say I'm not down for a good burger. I'll go for a Whopper any day. Just something to think about next time you're tempted to hit the drive-thru...for the third time...that day.